I’m a meticulous planner. No one would deny it. 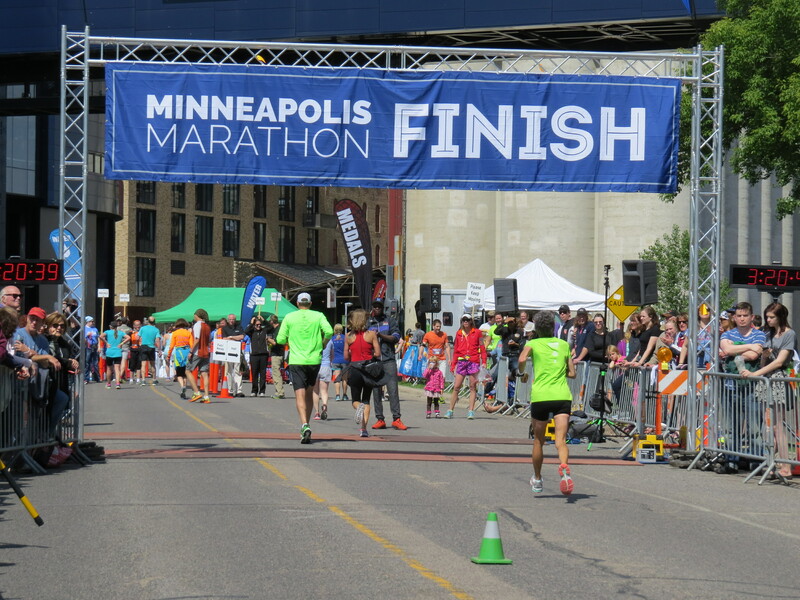 My self-styled training program for a marathon includes rigorous standards that usually involve at least 16 weeks of preparation, doing 50+ miles a week and at least 3 long runs of 20 miles or more. When I step up to the start line I am driven to feel prepared. Run and XC ski throughout the winter. Given the lack of snow, running definitely won out, with regular 10 mile runs and occasional 13 milers. Go on a spring cycling tour. With barely a week warm enough to get in some preparatory miles on our bicycles, Rich and I headed South to spend 5 weeks cycling from Texas to St. Louis MO. We tallied 1500 miles of pedaling. Run like mad for 3 weeks. Returning home with only 3 weeks to race date, I crammed in as much running as I could, logging 188 miles and ignoring the usual prudent tapering period prior to the race. I have to say that this plan made for a much more relaxed approach to marathon day. I still went through the ritual consternation about the right layers to wear for the weather. But I had no illusions about setting a PR. I wasn’t concerned with getting just the right position in the starting chute. I even planned to stop at the porta potties along the way. All I wanted to do was finish. Ok, with a reasonable time. We couldn’t have had a more beautiful day, with brilliant sunshine enhanced by the spring green leaves and early flowers blooming. It was chilly waiting at the start in the 45 degree morning air. My legs felt like lead the first few miles, but once warmed up they began to pump as they should. Yes, I could feel it – this was going to be a good race. 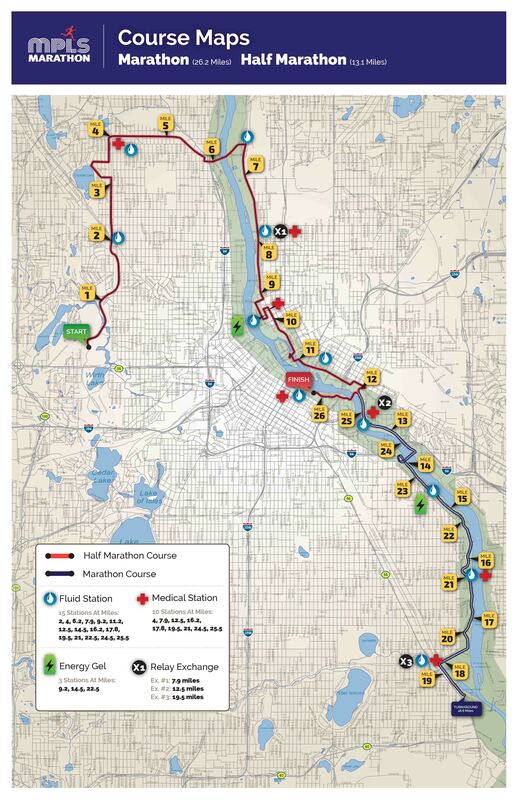 The course was very scenic, mostly following the Mississippi River. But best of all, it was extremely spectator friendly and my family made the most of it. Rich, Erik and Katie met me on their bicycles at mile 7 and leapfrogged me for most of the course. Karen, Matt and their kids met me at multiple places on the course. While I usually do not favor out-and-back routes, having the second half of the race do so allowed for double the cheering opportunities. 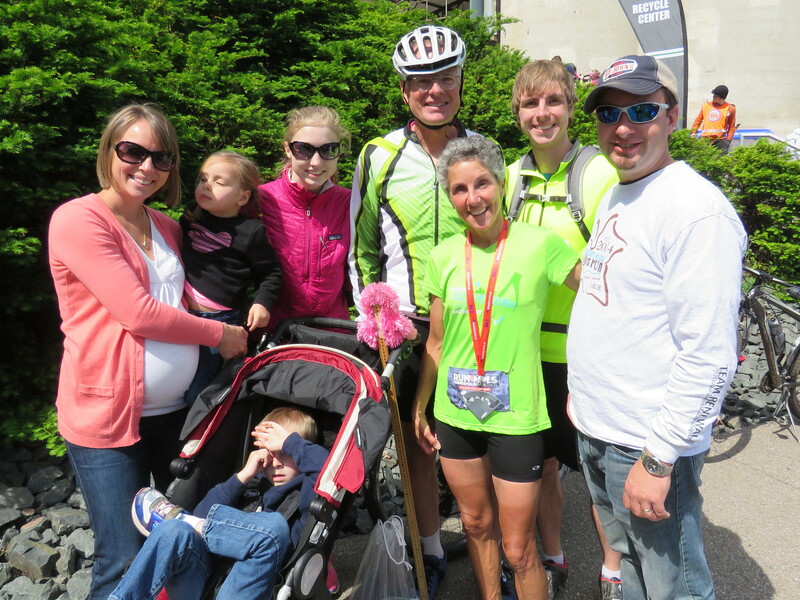 Their support was the key ingredient in my race – having them there buoyed my spirits and energy immensely. 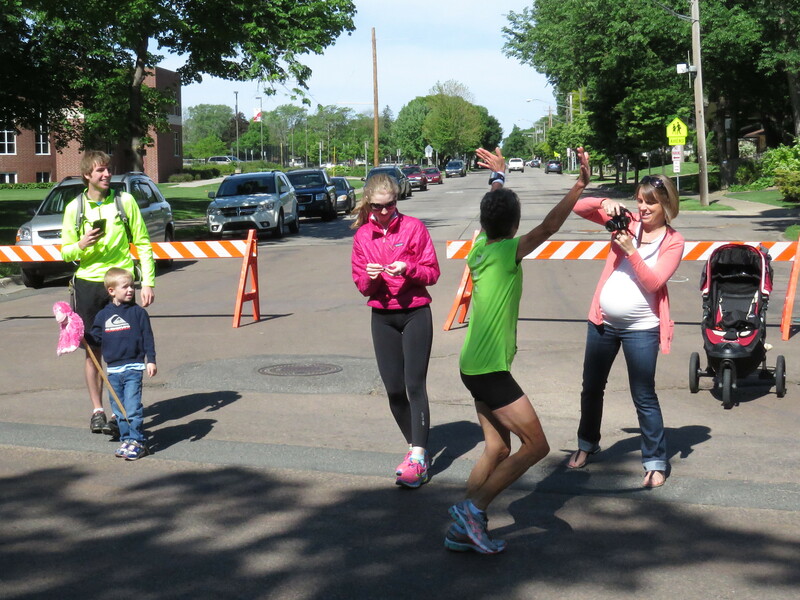 The biggest surprise was a huge group of people I didn’t recognize – all chanting my name! I was mystified until my daughter later explained that they were her running group, who she tipped off before the marathon. This entry was posted in Keeping Fit and tagged Marathon, Running by Molly. Bookmark the permalink. 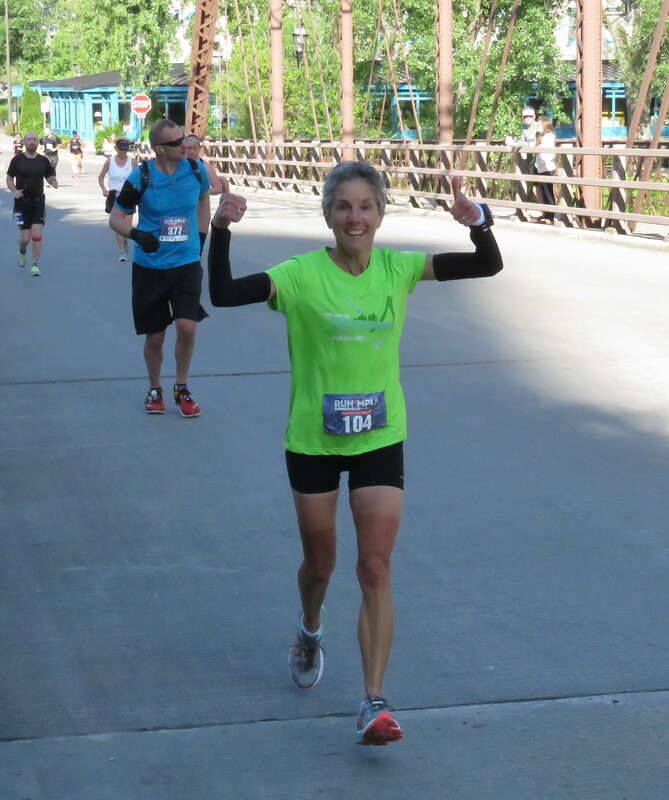 Well, read your blog long after the race, but great story and thanks for sharing it!